Finishing touch with your order, add Chocolates. Finishing touch with your order, add a cuddly Teddy Bear. 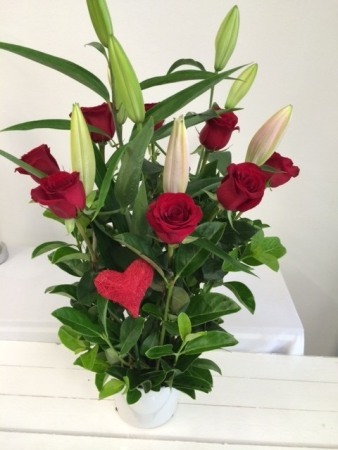 Gorgeous red roses with oriental lillies & green foilage presented in a white ceramic pot.